With one of the largest ranges of BMW, Nissan and Ford spare parts in Sydney, you can save yourself a lot of running around and a significant amount of money by simply calling us at Auto Ice Parts. As one of the leading Ford car wreckers in Sydney we will be very surprised if we don’t have the recycled parts or reconditioned engine you need on our shelves. With our popularity, our inventory turns over very quickly and with multiple cars coming though our gates every day, we always have new reconditioned parts to add to our stock – we have a huge range of fully checked parts and engines on our shelves at any one time. We are well-known as reliable Ford, BMW and Nissan car wreckers in Sydney and we have many parts that are no longer manufactured for older vehicles. If you want Ford, BMW or Nissan spare parts in Sydney you can’t do better than picking up the phone and talking to the guys at our Yennora yard. We will have the spare parts ready and waiting for you when you arrive. 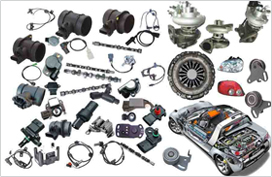 To check if we have the Ford, Nissan or BMW spare parts in Sydney you need or to price a reconditioned engine, call Auto Ice Parts (Leading car wreckers/auto parts shops sydney) on 02-9892 1010, 9892 1110 or email mail@aaautoiceparts.com or complete an online enquiry form.